The remarkable ancient citadel of Sigiriya towers 200 metres above the surrounding plains and is one of Sri Lanka’s premier tourist attractions. 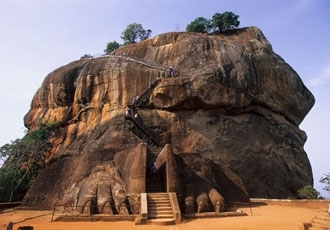 Visit the ‘Lion Rock’ in the early morning or late afternoon to see it in the best light, and to avoid the heat and the crowds. Walk through the tranquil water gardens, and ascend the sheer face of the rock by man-made stairs, to reach the plateau summit. Once a royal palace built majestically atop the rock, the remains are now a World Heritage Site. 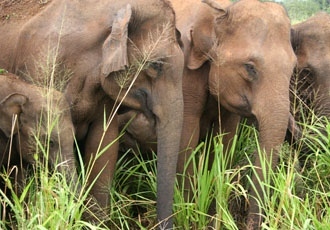 Elephants are the main attraction at Uda Walawe National Park and a jeep safari will get you close to some of the 500 or so that live within the boundaries of the park. You may also see buffaloes, monkeys, crocodiles and, if you’re really lucky, leopards. 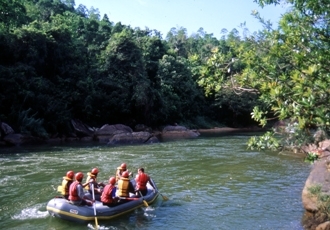 Uda Walawe is also renowned for its diversity of birdlife including majestic raptors and a multitude of aquatic birds. 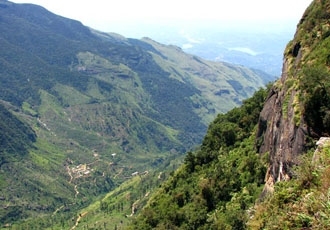 Horton Plains National Park is an incredibly biodiverse area and has many scenic attractions. Gentle walking paths will take you through misty cloud forest, open plains and moorland to see the rushing waters of Baker’s Falls before reaching World’s End overlook. Here the plateau drops dramatically down 1,000ft to the plains below and, on a clear day, you can see as far as the coast. The Kelani river is a popular centre for white water rafting and you can enjoy an exhilarating ride through the rapids starting at Kithugala, not far from Nuwara Eliya. The river is graded 2-3 making it ideal for first time rafters and families with children aged 9 or over. The rapids have names such as ‘Butter Crunch’ and ‘Rib Cage’ and there’s a lot of fun to be had as you follow the commands of your captain and paddle through the bubbling waters. All equipment and a safety briefing are included. Browse some of our favourite experiences in Sri Lanka, and add any that take your fancy to your wish list. 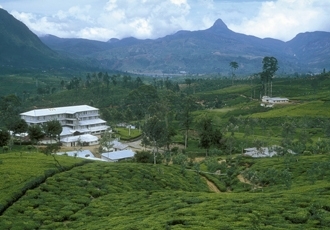 Ceylon tea is one of Sri Lanka’s great gifts to the rest of the world and remains a vital export. There are several tea growing regions on the island but the most delicate and sought-after of all Ceylon teas comes from the verdant highlands of Nuwara Eliya. You can discover how tea is processed at a tea factory, enjoy a walk through manicured tea estates and perhaps even stay in a converted plantation house from the days of the Raj. Abandoned in the 10th century, the ancient ruined buildings of the monastic city of Anauradhapura have been gradually reclaimed by the jungle over time. 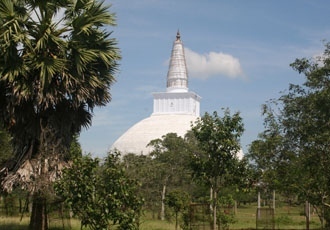 It’s a vast and magical place to explore by foot or bike and you could spend a couple of days at least seeing the many monasteries, palaces and reservoirs as well as the sacred Sri Maha Bodhi tree – officially the world’s oldest tree. One of Sri Lanka’s great ruined cities, Polunnaruwa is an extensive complex of buildings that remain from the original 12th century capital city. A bicycle tour of the site is one of the best ways to see all it has to offer. The main attraction is the Gal Vihara, or stone shrine – four impressive statues of Buddha sculpted from one huge stone slab including the 14 metres long reclining Buddha – a striking and ethereal figure. 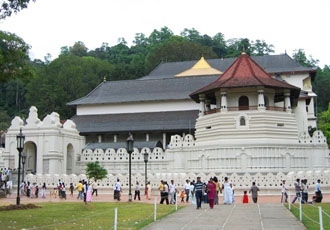 Situated next to the lake at the heart of Kandy is Sri Lanka’s most important Buddhist shrine – the Temple of the Tooth. 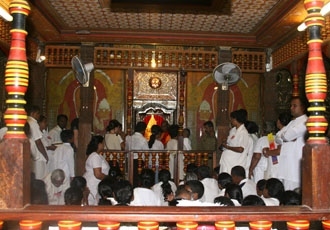 The temple houses a tooth of the Buddha said to have been brought to Sri Lanka over 2,000 years ago in the hair of a Princess. You can’t actually see the tooth itself if you visit, but you can briefly gaze into the chamber that houses the relic which is encased in a gold casket. 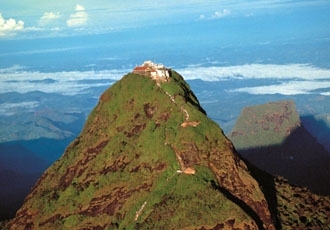 Adam’s Peak is one of Sri Lanka’s most famed summits and is an important pilgrimage site for Buddhists, Hindus and Muslims alike. You will set off in the early hours alongside monks, pilgrims and families, to climb the 5,200 stone steps and reach the summit in time to see the sun rise. A very special and unusual mountain climb. 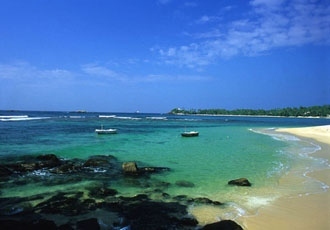 Unawatuna is an idyllic beach resort on the southern tip of Sri Lanka. Situated in a semi-circle bay, the soft, golden sands are invitingly fringed by tropical plants and palm trees. We offer several resort and hotel options at Unawatuna that all provide excellent facilities and first-rate services making this the perfect way to end your holiday in Sri Lanka. Kandy is at the geographic and cultural heart of Sri Lanka and has many attractions to enjoy. 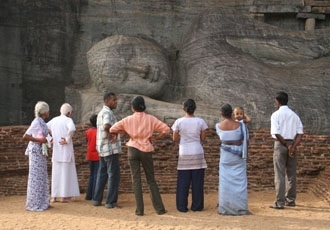 It’s a frenetic, modern city, though you will still find many examples of ancient Sinhalese culture as well as remnants of its more recent colonial past. Along with the Temple of the Tooth some of the key sights are the Devales Temples, Royal Palace Park, the National Museum, the Garrison Cemetery and the nearby Tea Museum. In the evening you can enjoy a Kandyan cultural show full of vibrant dances and rhythmic drumming. Not far from Kandy are the Peradeniya Botanical Gardens – an oasis of peace and quiet. Covering 150 acres they are the largest and most impressive gardens in all Sri Lanka and are packed with beautiful flowers, plants and trees. 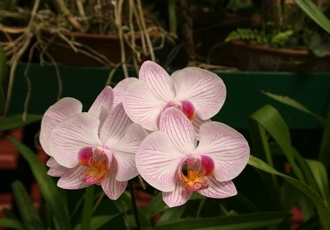 There is an orchid house, lake and spice garden as well as a huge Javan fig tree that provides welcome shade from the midday sun. A stroll around the gardens is a wonderfully relaxing way to spend a few hours. 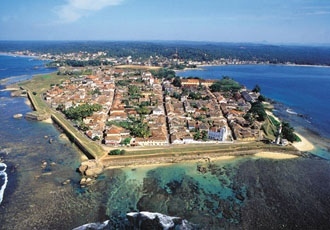 Situated on the coast, at almost the southernmost tip of Sri Lanka, is the city of Galle. At the centre of the modern town is the well-preserved old Dutch quarter known as the Fort. This charming old town is enclosed within huge defensive walls and bastions and is very picturesque with its old churches, colonial villas and atmospheric streets. A walk around the streets and along the ramparts is a very pleasant way to while away a few hours.